Save the City of Magic Cards in this card game. Is there a better alternative to Solitaire Mystery: Four Seasons? Is Solitaire Mystery: Four Seasons really the best app in Card and Board category? Will Solitaire Mystery: Four Seasons work good on macOS 10.13.4? Time has stopped in Solitaire Mystery: Four Seasons. This curse is the eery punishment, imposed by the wise Nature for greed and avidity of the city inhabitants. Now it is always Autumn in the rainy neighborhood of Spades. Clubs are frozen by the never-ending Winter. Hearts have stopped, waiting in vain for the flowers to blossom with endless Spring, and Diamonds pine away under the scalding Summer sun. You are the only one who can save the magic land! 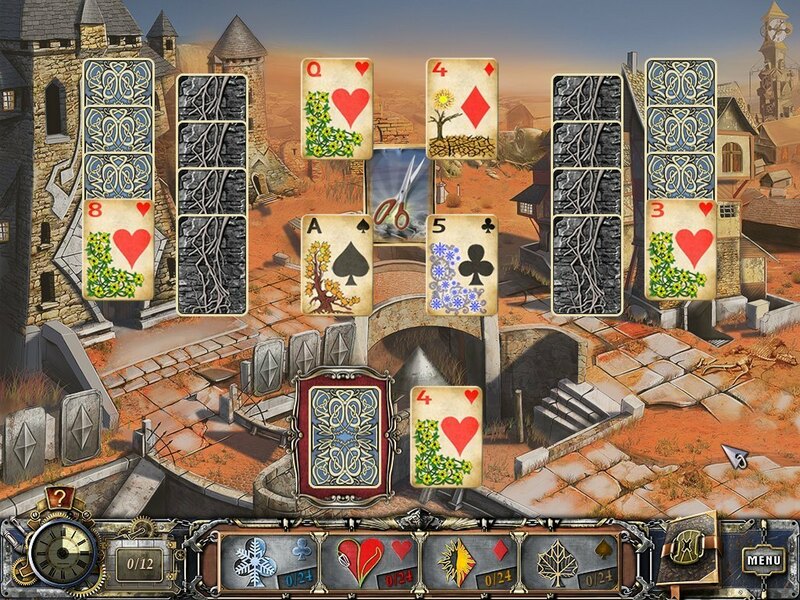 Try tons of different solitaire layouts, solve dozens of unique puzzles and make the Magic City clock work again! Solitaire Mystery: Four Seasons needs a review. Be the first to review this app and get the discussion started! Solitaire Mystery: Four Seasons needs a rating. Be the first to rate this app and get the discussion started!